At Active Bridge, our team of web app developers shares a unified passion for creating effective and quality finished products for our clients. Ruby on Rails is our expertise and is what drives the vision for our company. It’s not every day that we get to measure ourselves against other firms similar to ours, but being featured on Clutch has given us the opportunity to reflect on where we stand in the web development industry. Clutch is a B2B ratings and reviews platform whose mission is to steer buyers in the right direction when selecting a service provider. Their coverage of web development firms is one of the largest on their platform, making Active Bridge extremely proud to be distinguished for our ability to deliver results for our clients. 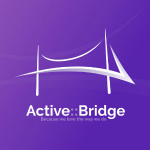 To be featured on their platform, Active Bridge was evaluated on multiple fronts. First, Clutch analysts measured our market presence and industry expertise by looking at the services we offer, the types of clients we serve, and examples of development projects we’ve completed as showcased by the case studies on our website. Next, and most significantly, our presence on Clutch is attributed to the reviews our clients have given us in firsthand interviews they conduct with Clutch analysts. More than simple online submissions like other typical reviews platforms, Clutch’s interviews are designed to get an accurate and personal understanding of our partnerships with our clients. The reviews contribute to our ranking on their site and are all published to our Clutch profile. We would like to thank our clients for taking the time to reflect on their experience working with us. We look forward to continuing our partnerships to further develop our presence on Clutch and continue to stand out within the web and app development space.